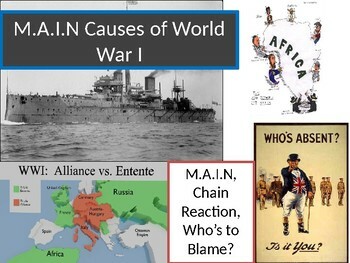 Students first start with filling out a graphic organizer which outlines the 4 "M.A.I.N" causes of WWI. 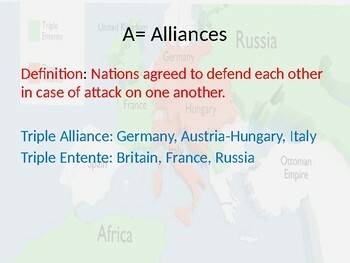 Next, students fill out a quick section of guided notes about the assassination of the Archduke and his wife. 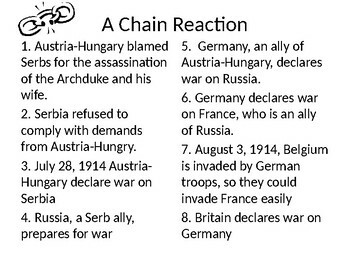 Students then get to read how the events leading to WWI can be considered a chain reaction. 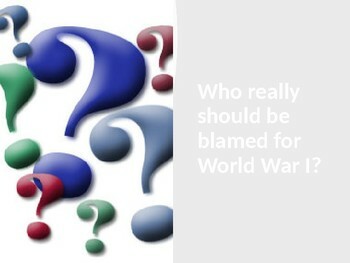 Lastly, students use the evidence presented to them, to decide who really is to blame for WWI. This bundle comes with a quiz based solely off of the causes AND a UNIT quiz. KEYS are also included!